What are your core values? Sometimes we don’t even stop to think what our personal core values are. We know they must be there driving our decisions and actions, yet we don’t sit down to name them. This is more simple if you are only one person as you can decide what is important to you at any moment, but a business needs some foundation – and core values are part of that foundation. While just about every leader has heard of defining your core values, why don’t we actually do it? There’s always a lot to do and often business owners see defining core values as a nicety, rather than a priority. Yet, at the same time, they are managing the consequences of everyone not being on the same page or portraying the company in the same way. Core values bring a team together and ensure everyone knows what it important. #2 It can be a process. If you have a team you want to ensure they have a say in creating core values if you’ve never had them before. You’ll want to ensure everyone can get behind the values that are deemed important. This can be a process, but in the meantime, you’ll earn respect for asking their input on something that will impact the entire company. It can actually be a team building project. Even if you were to intend to stay a one person company, there are business reasons to have a set of core values that people can find on your website. They inform people on how you want to be positioned in the market. If you do work with other people, like most of us do, having set core values is essential to ensuring everyone is carrying the same message and feel. Let’s dive into the main reasons core values are important. Understanding who your company is at the core and expressing that through marketing and people, helps you differentiate from your competition. 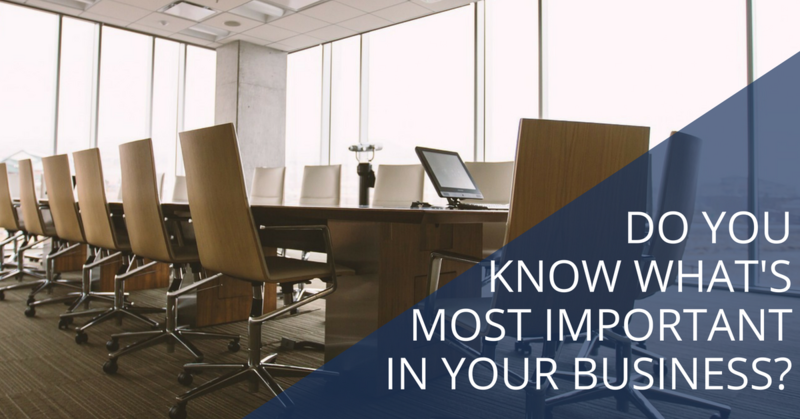 People will know what’s important to your business and what they can expect if they do business with you. Whether the leadership struggles with decisions or you want your employees to feel confident making decisions, core values help you define what is most important so everyone can point to the core values if they feel a conflict and make a decision inline with the values your company deems most important. Before people buy, especially services, they want to know who you are. They want to know that they are working with a company that has values they support and offering your core values will help them be more clear. Core values attract more candidates because they know right away if your company is the right atmosphere for them or not. When you list your values on that job advertisement, you might find you also get more qualified candidates who feel confident working for your company. Core values make prospects feel like the company has a heart, not just a bottom line. And on the flip side, if you have your values defined it’s also easier to see if someone fits within your company when you are interviewing them. You can even ask them how they fit into their own personal values to ensure a position within your business will suit them. When employees know what the core values are, they can work to achieve them and reflect them. It can actually inspire employees to work up to the values rather than stay at the status quo. Core values can do a lot even if they don’t feel like a priority or productivity. A few words could change the fabric of your company for your employees, partners, clients and those not yet clients. You can refresh your company spirit and re-inspire people. If you aren’t sure how to come up with your company values, I’ve created a short downloadable worksheet you can use to define your company core values. It will be in my upcoming workbook for business leaders, but you can get it free right here.